7 July, 2019. 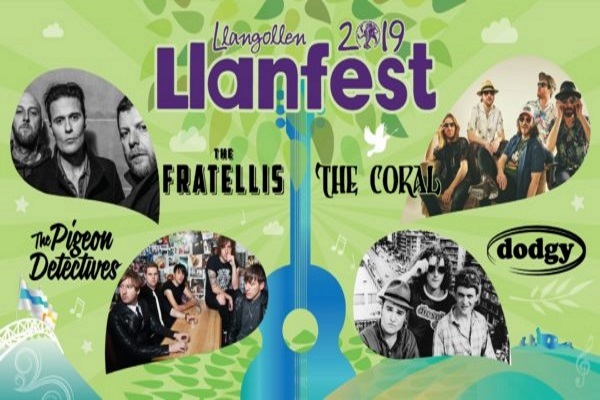 Soak up the summer festival atmosphere from 2:00 pm with a range of live bands on the outside stages and enjoy the wide variety of food and drink stalls around the field before the Llanfest finale in the main Pavilion. Stay in comfort at the first ever glamping option for this wonderful event. 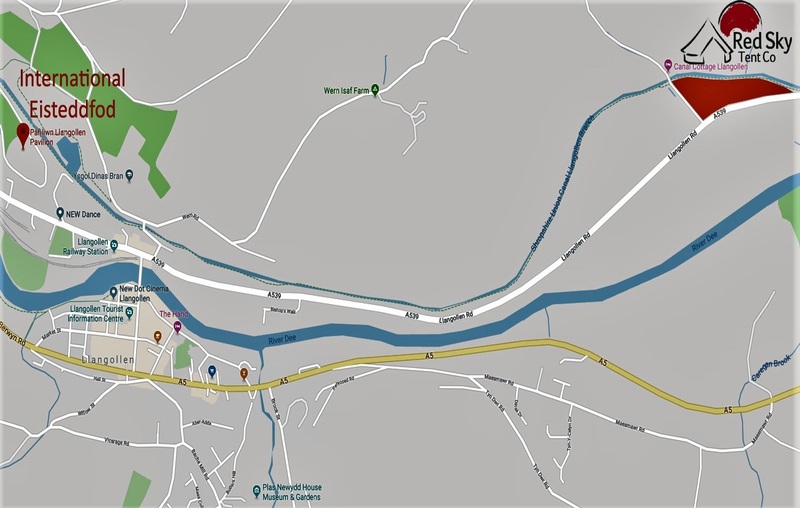 We are providing two Boutique Camping Villages, one for participants and one for the public. Just a 25 minute walk along the canal, or there is a bus every hour. 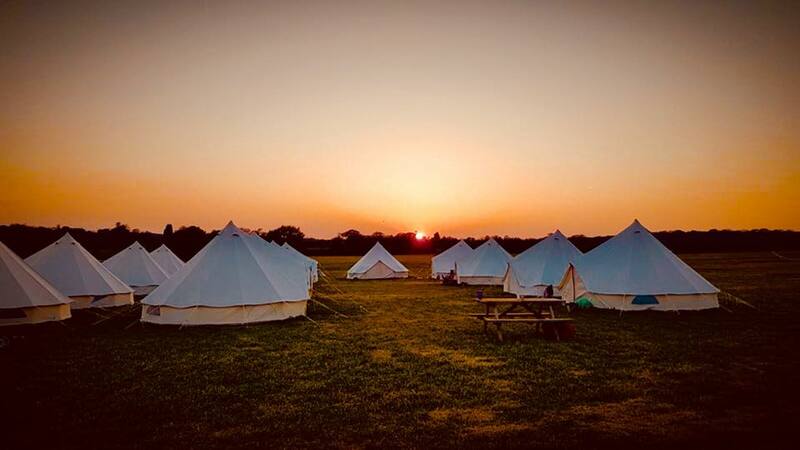 Red Sky is proud to offer a comfortable, convenient and quiet glamping option for this year’s Llanfest, only a short distance from all of action on-site. 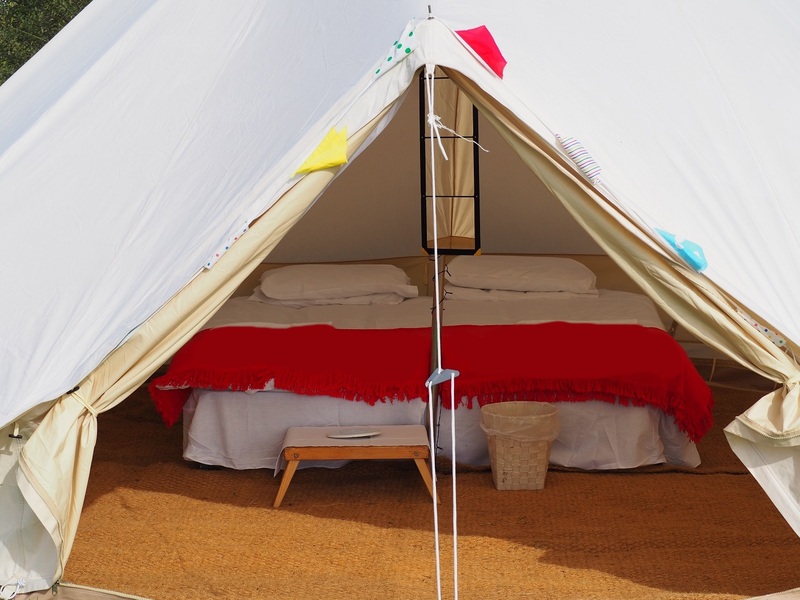 All of our sumptuous 5 metre bell tents are fully furnished with carpets, real beds and mattresses, valances, ultra warm winter tog duvets, warm cotton sheets and pillows. There is a table, mirror and lights in each tent, providing convenience during your stay. Facilities include hot showers, a bar and a café, so you can relax with us after a busy day taking in all of the sights and sounds. No matter the weather we have all the home comforts. Check out the Red Sky Facebook page for plenty of photos and comments. This year’s Llanfest line-up is fantastic and Red Sky will be offering a free party and BBQ with DJs, for those guests staying with us the night of Saturday 6 July. You’ll want to stay until Monday – after the Eisteddfod or come a day early, if you’re coming just for Llanfest! Guests checking in on Saturday for the Llanfest Boutique Camping Village also receive a complimentary bottle of wine per tent. Come a day early, relax and enjoy the daytime events of the International Eisteddfod and then spend your evening with us. Don’t miss out on your opportunity to sleep in style for this year’s Llanfest, with Red Sky. You can book your Boutique Camping Village here or if you have any questions please contact Brendan at: brendan@redskytentco.org. 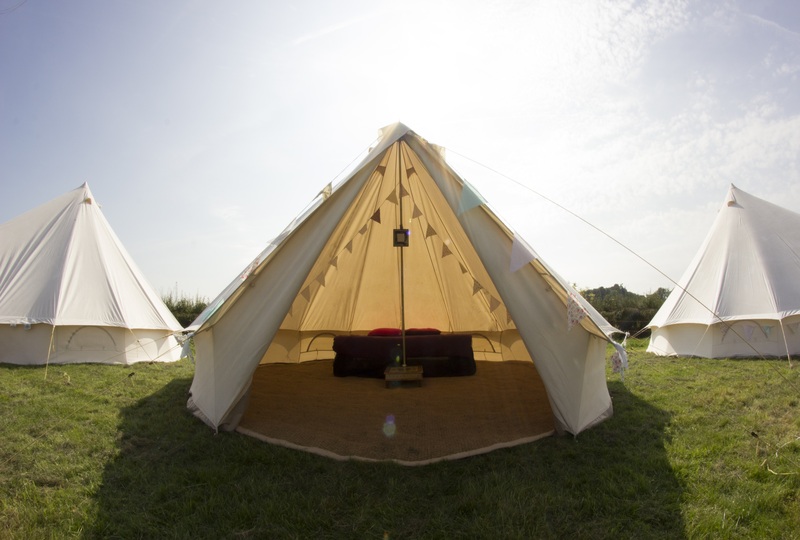 Learn more about Red Sky luxury bell tents here. 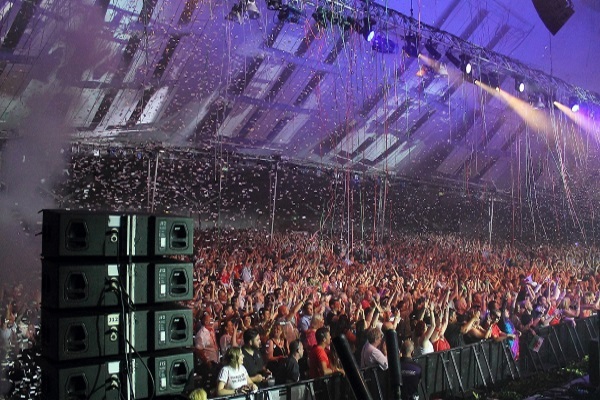 We cannot wait to see you in Wales in July! 6-7 July. Free party, BBQ, and DJs. Price per tent for two nights. 6 or 7 July. Price per tent for one night only.